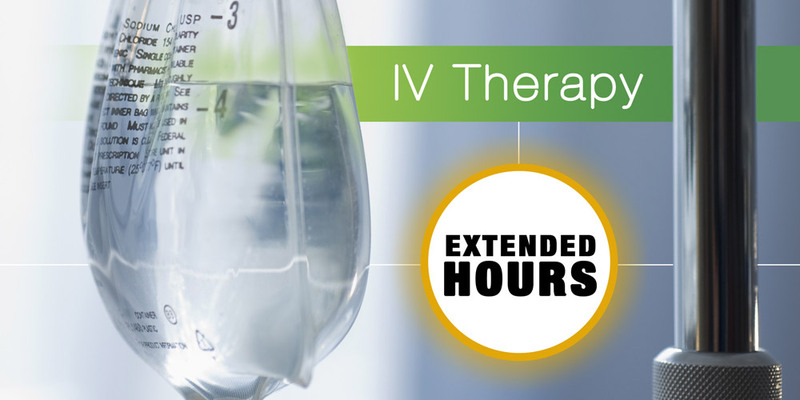 The IV Lounge is now open with extended hours on Tuesday from 8:00am – 7:00pm! Stay on top of your health, & visit us today! Nutritional IV Therapies provide vitamins and nutrients directly into the bloodstream rather than requiring your GI tract to absorb and break them down. This allows improved absorption and better levels. There are many different circumstances that IV nutrition may be beneficial. Nutritional IV therapies are not intended to treat diseases and do not take the place of traditional treatments. Do not stop any medications while you are doing IV therapy without consulting your physician. Injections involve an intramuscular injection into the buttock. Injections take just a few minutes and the effects can be long-lasting. Most injections can be done as often as once a week or utilized when you need an extra boost. Great for migraines, anxiety and menstrual cramps – magnesium, theanine, taurine. IV (intravenous) infusions allow key essential nutrients into your body at the cellular level bypassing the gut which allows for maximum absorption. An IV infusion also allows much higher doses than tolerated orally to be utilized for optimal effect. All of our infusions, are administered by a registered nurse and are monitored in our office. The infusion schedule is up to you. We suggest starting out weekly to get a maximum benefit then start spacing them out when you notice the effect is lasting longer. You may also come on an as needed basis for traveling, fighting off a cold, or for monthly maintenance. We have several different infusions depending on your needs and time constraints. IV nutritional therapy is not intended to treat disease. Please do not stop any medications in place of IV therapy. If you have a question if IV therapy is appropriate for you please call our office. *Iv therapy has not been evaluated by the FDA and scientific studies have not recommended IV nutrient therapy to treat diseases. Get a boost of energy with our vitamin cocktail that includes B12, B complex, B5, B6, magnesium and vitamin C.
Also great for energy but with more fluid, slightly higher Vitamin C and we run it slower for sensitive people. Had the stomach flu and still feeling puny because you are so dehydrated? Just returned from a long flight and feel all dried out? Extra fluids will do the trick. Had a little too much fun on the town and just can’t bounce back? Played golf all day out in the hot sun? This IV is for you. You will get a full liter of fluids, anti-nausea medication (if needed) and a few extra B vitamins to help you get back on your feet. Glutathione is considered a master antioxidant. It is involved in many processes in the body including tissue building and repair, breakdown of nutrients and helps regulate the immune system. Glutathione deficiency is thought to contribute to oxidative stress which has felt to influence diseases like Parkinson’s, Alzheimers and other conditions. Glutathione may be added on to any other infusion. Get a major immune tune-up and energy boost with our highest dose of vitamin C combined with our core nutrients of B vitamins & magnesium. This is a great infusion for travelers as well as helping you to ward off or recover from an illness. High doses of vitamin C have been shown to be directly toxic to many forms of cancer. We help build supportive protocols using targeted supplements that compliment your traditional treatment for cancer. High dose C is only available to our Vitruvia patients because of the close monitoring we do while doing this form of treatment. Ready to become an IV Lounge Member? Download the New member form and bring it to your first appointment. Our Wellness Members have access to all Injections. Access to all Injections & Infusions (excluding high dose vitamin C). Current Vitruvia patients have access to all Injections & Infusions. No membership fee. Contact us to see if a Nutrient IV is right for you. In these cases, having a record of everything that has been tested is critical. That way Dr. Miles can review everything and formulate a plan that has not been investigated before. Often even if answers aren’t discovered, there may be solutions that help improve quality of life. When Dr. Miles is presented with a new extraordinary case she approaches it with hours of research. We know that everyone would love to have a guarantee before they see a doctor that their case will be solved. What we can guarantee is that your case will be given the individual attention and exploration that you deserve.